This is what I wore to Easter dinner with my family. Before meeting up with them I bought some flowers for my grandma, mother, and of course myself. 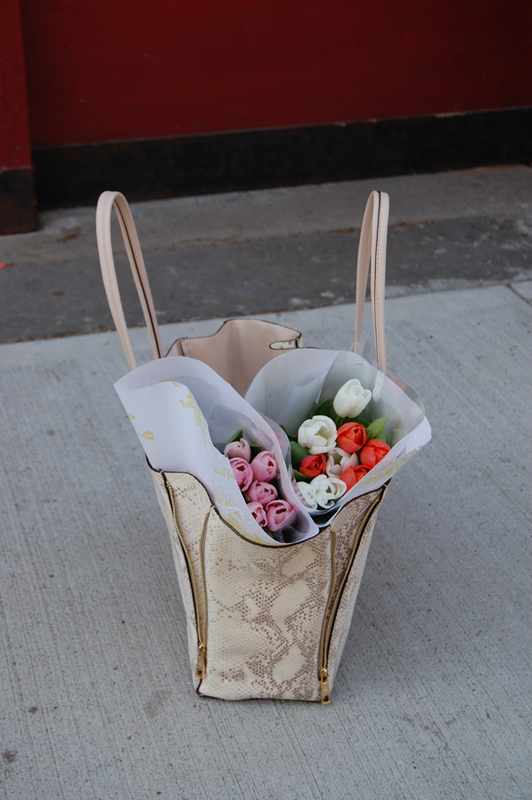 Nothing says like Spring and Easter like a fresh bunch of bouquets. Flowers always cheer me up and add a little oomph to my apartment. What a pretty look for Easter Sunday! Those flowers are pretty too! 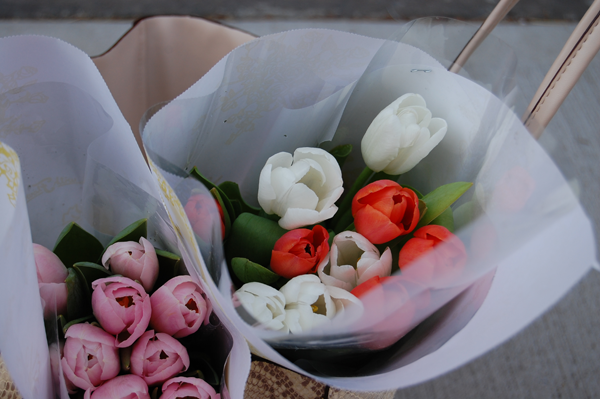 I also associate Spring and Easter with lovely bouquets of flowers. And how I wish our weekends didn't go by so quickly. Love that sweater with the floral dress, you look gorgeous! 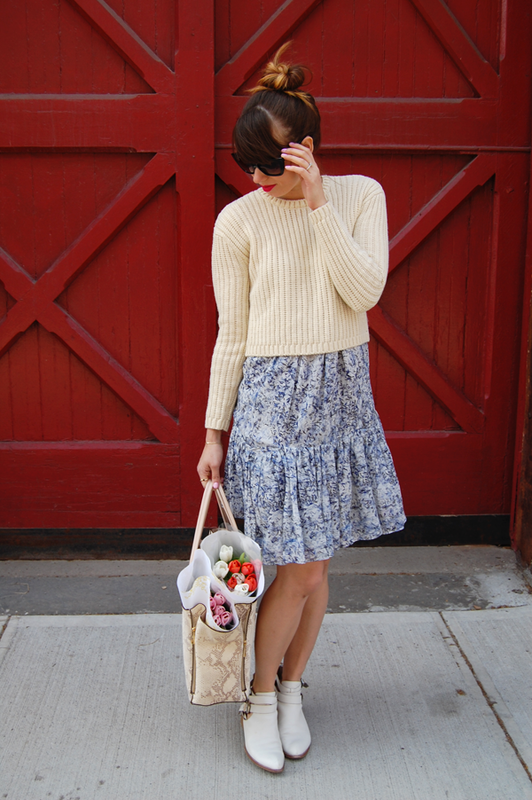 Perfect look for an Easter dinner, I especially love the skirt! And your sunnies are beautiful too!! that dress is everything, i love how it flows in the wind. Aww very Easter-like :) Hope you had a good one with your fam!